The likes of Sergio Ramos, Bastian Schweinsteiger & Morgan Schneiderlin have all been linked with moves to Old Trafford. 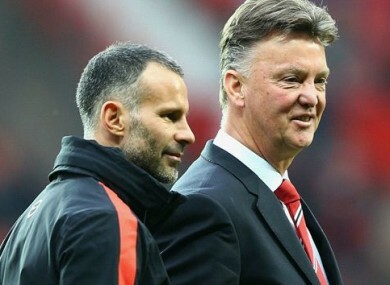 Ryan Giggs says Man United are on the lookout for "proven" players. RYAN GIGGS HAS underlined Manchester United’s need to strengthen over the summer as they look to mount a Premier League title challenge. Louis van Gaal acted early to secure Memphis Depay from PSV in May but is yet to add further new arrivals, despite links to the likes of Sergio Ramos, Bastian Schweinsteiger and Morgan Schneiderlin. United secured a return to the Champions League thanks to a fourth-placed finish last season but Giggs says improvement is vital and – given the increased commitments coming next term – players with a winning mentality are required to strengthen the team’s core. “If there are players available who are winners, who are proven, then yeah, let’s go and get them,” the United assistant manager told The Sunday Times. “And with any good team the spine is important. Midfield, striker, centre-backs, goalkeeper. I’m sure we’ll be looking to strengthen the spine all the way through. “We obviously need to strengthen because we were fourth. We weren’t first, second or third. And the teams above us will strengthen, too. There’s the added challenge of the Champions League, and we need players that are going to improve us. “But we’re not too far away. We had a great record last season in the big games and the problem was the consistency. We dropped points we shouldn’t have and got off to a bad start. We drew a lot of games away from home against teams we should have been beating. Email “Ryan Giggs reveals Man United summer transfer plans”. Feedback on “Ryan Giggs reveals Man United summer transfer plans”.